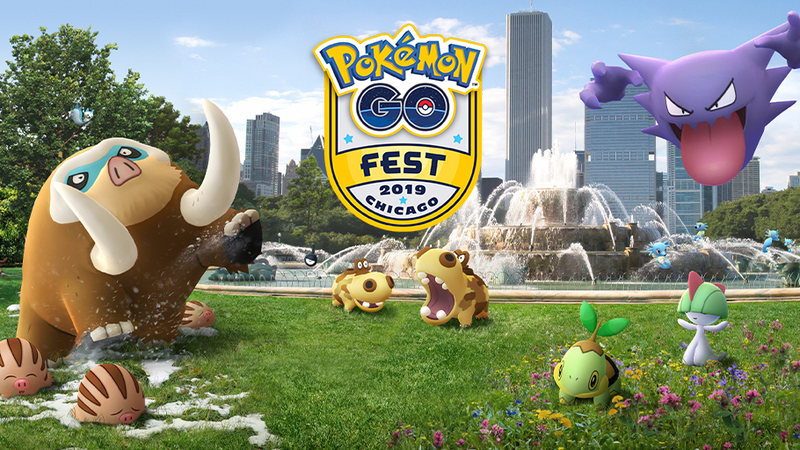 For the third year in a row, Pokemon Go Fest will be held in Chicago this summer. The event will take place in Chicago’s Grant Park from Jun 13 to June 16. Pokemon Go Fest is a ticketed event, meaning it’s limited to a specific number of attendees. Since more players will likely be interested in attending than there will be tickets available, Pokemon Go’s developer, Niantic, is introducing a drawing registration system to hopefully give everyone a fair chance to attend. Unlike previous years, this year you’ll need to enter a drawing for the chance to purchase tickets rather than purchase tickets directly. This is to ensure a fair chance to all Trainers who wish to attend the event, as we have limited tickets. On April 22, anyone interested in attending Pokemon Go Fest in Chicago will be able to enter a drawing through the new “Events” icon in the in-game menu in Pokemon Go. The entry window will close on April 24 at 10 a.m. ET. After that point, Niantic will randomly select “winners,” who will be emailed instructions allowing them to purchase a ticket for themselves and up to three other players. If someone wishes to purchase tickets for other players, they must be at the “Great Friends” level or higher with them in Pokemon Go, and they need to have their Trainer username(s) ready during the checkout process. The drawing’s winners will have 48 hours from the time they are selected to complete their purchase. Niantic will continue to select winners on a “rolling basis” until every ticket is sold. Two types of tickets will be available. The General ticket costs $25, and it will give someone access to the event from 11 a.m. to 7 p.m. on one day of the event. An Early Access ticket costs $35, and it will let someone into the event two hours early, at 9 a.m.
To be especially clear, players can only attend the event on one of the four days. Anyone who comes to Grant Park without a ticket won’t be able to see or interact with the Pokemon within. However, Niantic said many of the creatures featured at Pokemon Go Fest will appear around the world while the event is taking place. Finally, if you have kids who wish to attend Pokemon Go Fest, you’ll need to enter the drawing yourself using your own Pokemon Go account, and then (if you’re selected as a winner) purchase a ticket for them during the checkout process. For more information on the Pokemon Go Fest ticketing system, check out Niantic’s support site. What do you think of this drawing registration system? Let us know in the comments below, or tweet us @superparenthq.